Our root chakra directly connects us to Earth through a dynamic and reciprocal relationship. The Earth nourishes and challenges us, from the moment we take our first breath until our physical body is no longer needed. 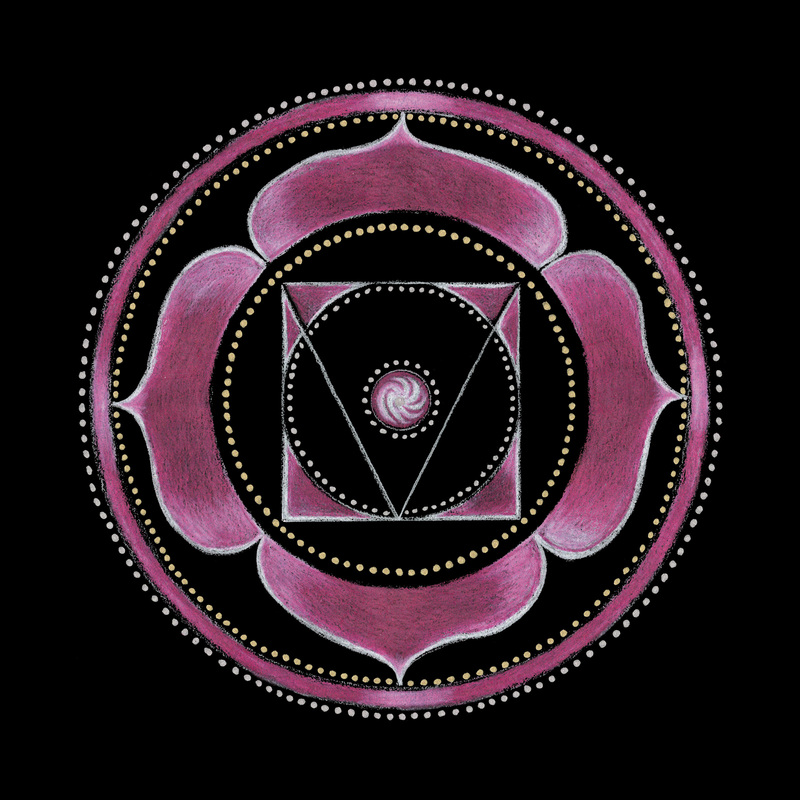 The root chakra helps us trust, feel grounded and safe within the physical world. This is the place where the soul manifests itself as a human. By embracing our humanness, we begin the journey of reconnection where the self and the soul become one. To live in harmony with ourselves is to live in harmony with the earth and to honor all of its resources. Body System: Base of Spine – Musculoskeletal System. Goals: To feel grounded, safe, loved & nourished. To trust. Practice: Non-judgment, non-attachment, non-suffering. Walk with beauty and grace. Ground and love yourself. Issues: Abandonment, abuse, neglect, adoption, loss. Symptoms of imbalance: Obesity, hemorrhoids, sciatica, constipation and musculoskeletal disorders. Night terrors and panic attacks, inability to trust or feel safe. Plant Ally: Sage for cleansing and grounding. Essential Oils: Ginger, Sandalwood, Clove, Sage, Cinnamon. Foods: Root Vegetables, Ginger, Turmeric, Clove, Protein. Stones and Crystals: Iron, Basalt, Granite, Petrified Wood, Ruby, Garnet, Bloodstone, Red Jasper, Smoky Quartz, Obsidian, Black Tourmaline, Hematite. Sacred Geometry: Container of Life, Circle. Message: Spend more time in nature feeling grounded and connected to the earth. Create a ceremonial fire pit or sacred garden where you can set intentions and meditate. Deepen your relationship with earth and feel it within your soul. Trust that you are supported by earth regardless of the situation.